Has this ever ran into your mind that what exactly WinSxS folder is? Or How can we save space by cleaning up WinSxS folder? Answers to your questions are here. WinSxS folder is where the files needed for your Windows are, also it has all backups and updates of those files. If you think that you can delete this folder to clean up some disk space then the answer is; No. You can’t because some of the files are important for Windows to run and update. But there are many ways to reduce the size for your WinSxS folder on Windows 10. I will suggest these two methods that totally work. 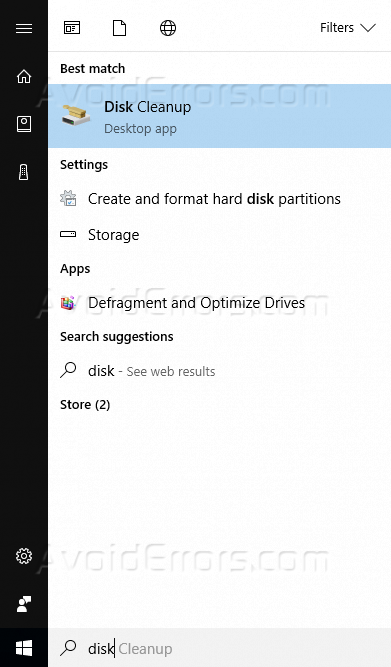 Go to search bar and write “Disk Cleanup”. 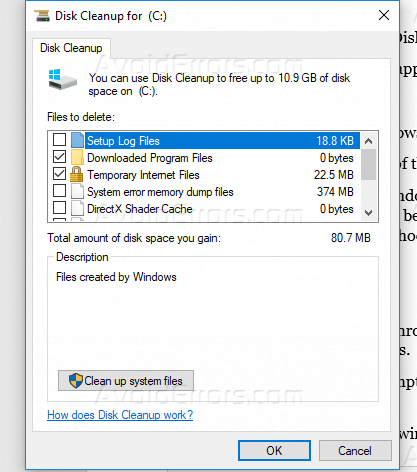 Click “Disk Cleanup” to open a window. Click “Clean up system files” appeared on the left bottom of the window. Check the box next to “Windows Update Cleanup”. Now click OK at the bottom of the window. Note: If you don’t see the Windows Update Cleanup option in Disk Cleanup, that indicates that there aren’t any files that can be deleted safely. If you haven’t changed the location where you place your system file, then choose (C:) then click OK. This method will give you a thorough view of how much space the SxS folder is taking up and option to clean unneeded files. Firstly, type “Command Prompt” or press Win+X at the same time to open Command Prompt Admin. 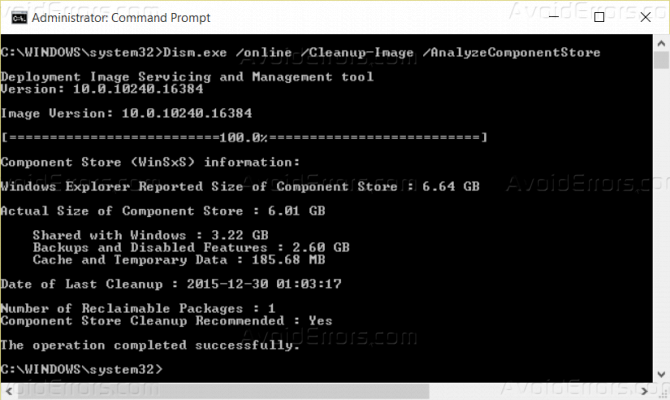 This command will help you to clean up the files when your system is not in use. Then press Enter to begin the process. It will take few minutes for DISM tool to analyze the folder. Once done, you will see the details of the components in WinSxS folder. At the bottom, you will see an option to clean it up or not.